"O' the places you'll go!" Is there anything more wonderful than the Dr. Suess book to welcome a new baby into the world? 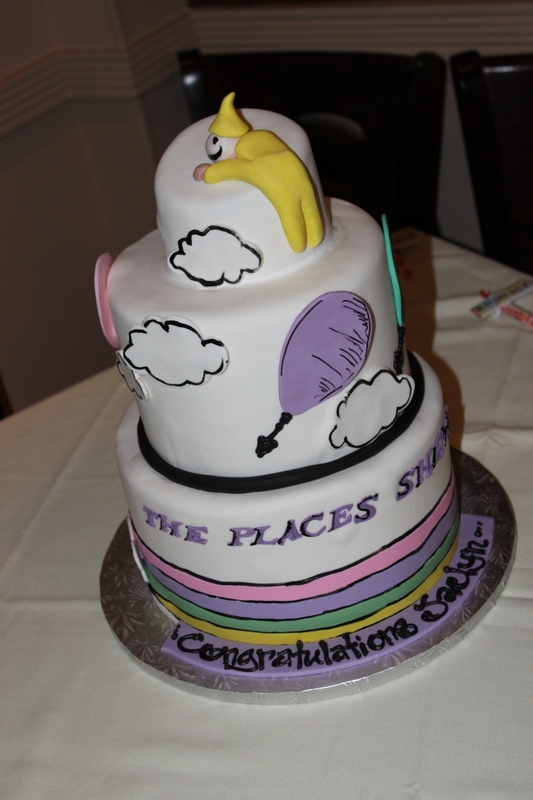 That was the theme for this wonderful baby shower that was filled with love, joy and lots of fun! The party was held at Cafe Testarosa in Syosset and featured an array of out-of-the-box baby shower games, including "guess the celebrity baby." This was not your typical baby shower and it was a wonderful treat. In addition to designing the flowers, we also worked with the mom-to-be on bringing to life her vision with giant "hot air balloons," Dr. Suess signs and table numbers, a colorful Suessical candy bar and several guessing games, and much more. Oh what a day it was!